Wordle is a fantastic word cloud generator. Its creator, Jonathan Feinberg, has managed to do something great: with the selection of fonts, colors and a new idea on how the words are composed, he's achieved the effect is far beyond the IT world. It already belongs to the world of art. With Wordle it’s even fun. You enter URL address (i.e. of your blog) and get the cloud of the words used most often. 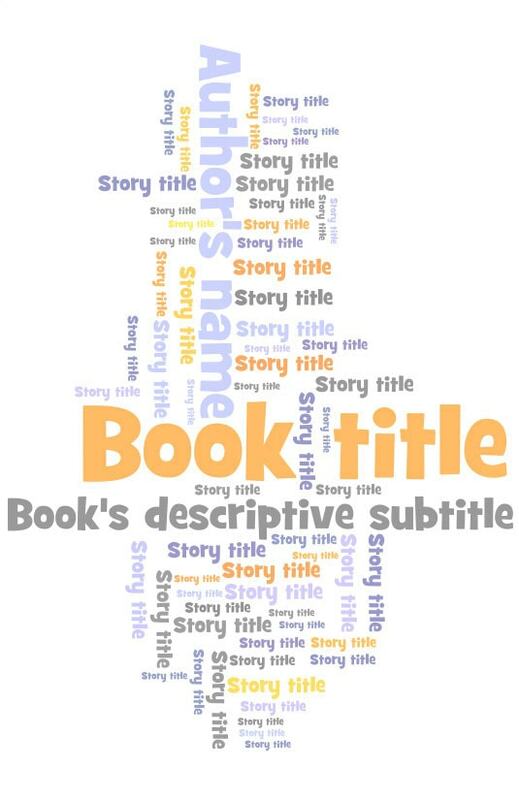 You can also paste text – and this is how Wordle can help self-publishing authors. When a writer wants to publish an e-book with places like Feedbooks, Smashwords, and Scribd, you don't need to know anything about the pre-press processing. In fact, in most cases the only missing part is just a jpeg picture with a catchy cover. And it doesn’t need to be hi-res CMYK file. One screenshot is enough. Let me start with the example, let’s say children’s book. For a full control, I go to the “Advanced” tab and place weighted words or phrases there. I insert the marked title, author, subtitle and titles of the stories. Yes, with Wordle you can easily put the content of your book ON the cover. - Layout: Mostly Vertical – as Wordle is delivering word clouds in a horizontal window, choose this option and rotate the picture by 90 degrees later on. :. The more words you provide, the better. It could be titles of the stories. It could be tags you usually use to describe the content. It could a title of a book repeated in different sizes. It could be even a pattern of symbols ($, @, *, ®). What you use is up to your imagination. Wordle will do the rest. :. Instead of playing with advanced options, you can just paste a whole text of your story/novella under “Create” tab. How to make title and author the biggest elements? Just copy and paste them many times, leaving the rest of the text unchanged. 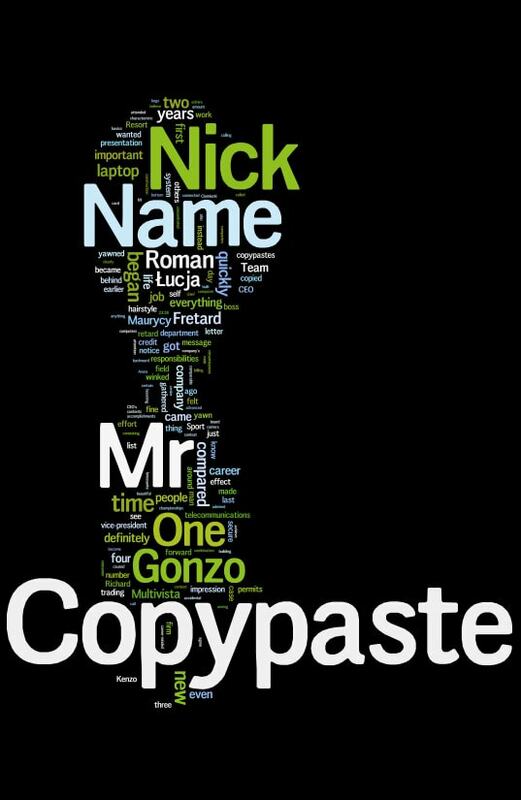 Example: one of my stories – Mr Copypaste. Title x40, author x20. As soon as you start playing with Wordle, I’m sure you get extremely inspired. Wordling a cover for your own book can be as much fun as writing it.